After an intense development track FAST-GRIND developed outstanding tools for under the power trowel machines. A full scale test had to show the lifetime of the tools. 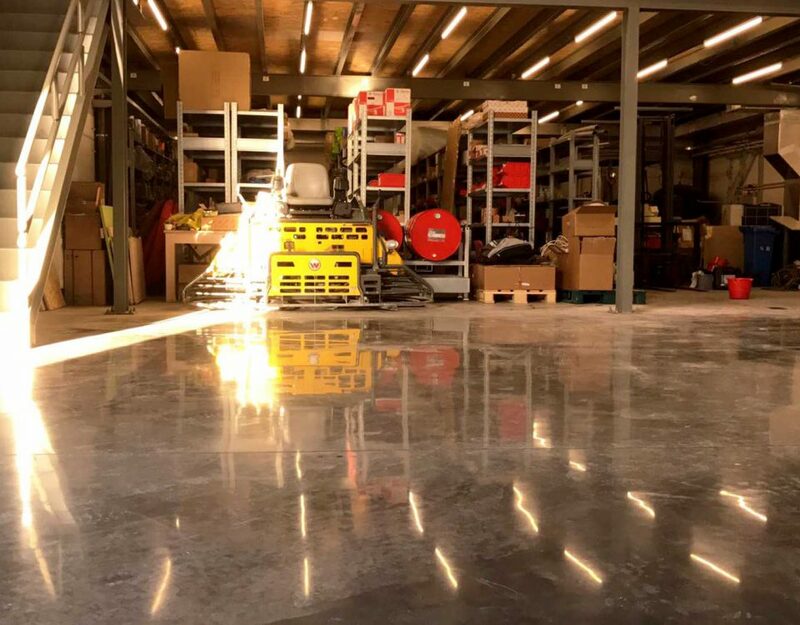 A project was selected of a floor of 1200m² to do this test. The first step was to clean the floor with FAST-STRIP to take off all the grease, oil and tyre marks of the floor. Then the first wet grinding steps of grit 50 and 120 exposed nice fine ‘salt & pepper’ aggregates. 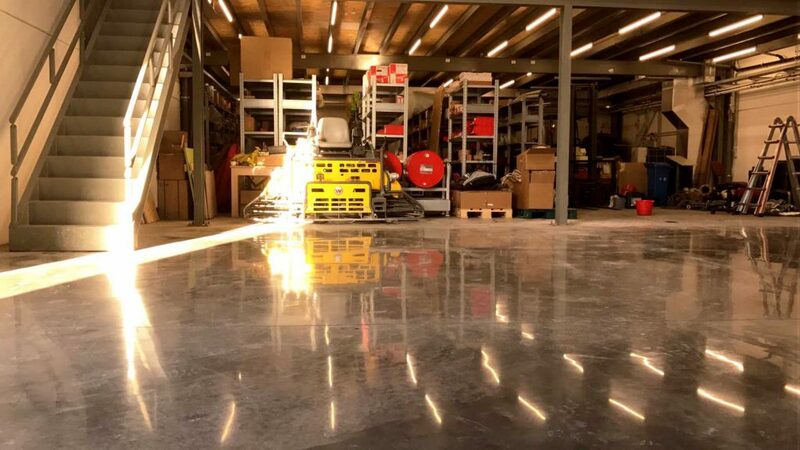 After grinding with grit 120, FAST-DENSIFY Sodium was used to densify and harden the concrete floor and then to continue wet grinding with grit 200 and 400. The floor was dried to continue dry grinding with grit 800. 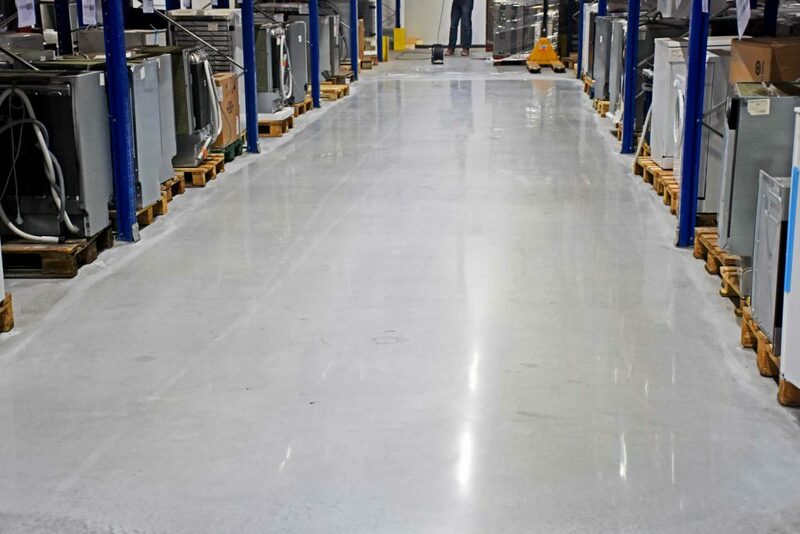 The floor was finished using diamond pads and also FAST-PROTECT which is a impregnating stainprotection to protect the floor from water- and oil based stains.